The Volkswagen Golf family is a fun group of cars to drive, and the awards received by the line are a testament to their quality. For drivers who are concerned about the environment (as we all should be), the electric VW e-Golf is the perfect choice to get you where you’re going without a drop of fuel. 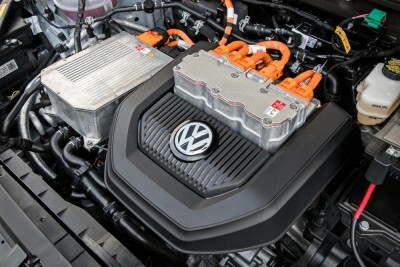 Taking away the gasoline did nothing to diminish the genius of the vehicle, as it comes loaded with Bluetooth, VW Car-Net App-Connect, and other cutting-edge technology to assist the driver. What’s New for the 2016 Volkswagen e-Golf ? 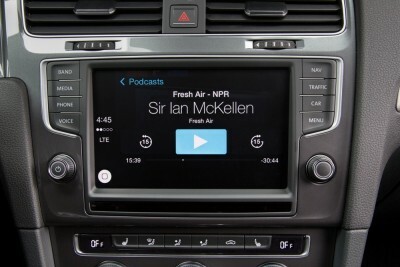 The 2016 Volkswagen e-Golf gains a new MIB II infotainment audio system with Car-Net App-Connect technology and a new Drive Assistance package. 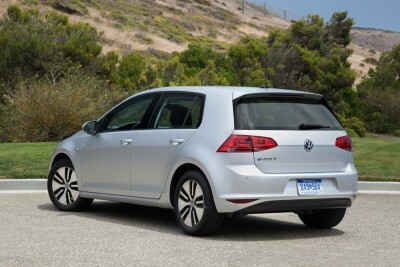 No matter how many makeovers and redesigns you can put a Golf through, it remains a Golf. That’s why the 2016 Volkswagen e-Golf is instantly recognizable wherever you drive it, whether in an American suburb or somewhere on the other side of the world. The e-Golf features crisp lines, a new narrow horizontal grille, a low stance, and a wide track, giving it a muscular, almost sporty appearance. Under the hood of the 2016 Volkswagen e-Golf is a synchronous permanent-magnet AC motor that, in Normal mode, produces 115 horsepower and a mighty 199 lb-ft of torque, which will surprise you every time you take off at a green light. Power is reduced to 94 horsepower and 162 lb-ft in Eco mode and even further down to 74 horsepower and 129 lb-ft in Eco+ mode. 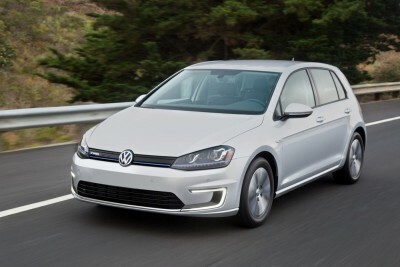 In Normal mode, the 2016 Volkswagen e-Golf consumes around 29 kWh per 100 miles traveled. Its official range is 83 miles per charge, though it can go further if you engage either of the Eco modes and/or drive with a light foot. Its EPA-rated fuel economy equivalent is 126/105 MPGe city/highway. 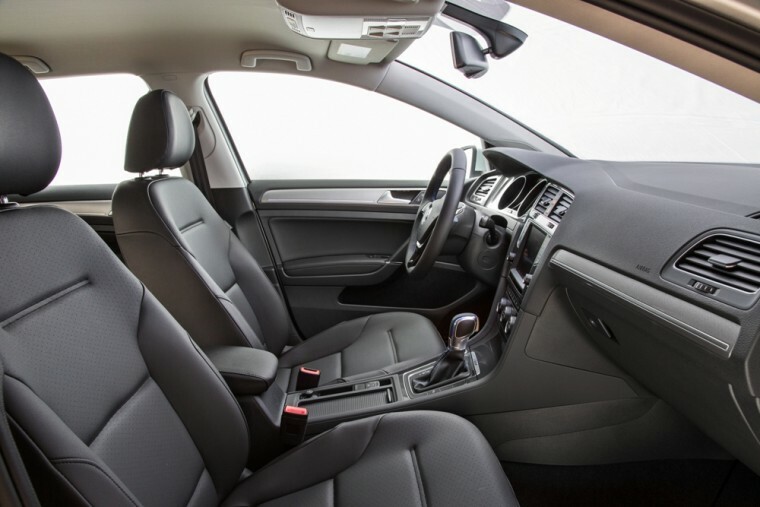 The 2016 Volkswagen e-Golf’s interior comes with plenty of standard features and an upscale look that feels like it should belong in a more expensive vehicle. Soft-touch surfaces, high-quality materials, and piano-black accents (on the higher trims) abound, and it’s easy to get comfortable thanks to the generous shoulder room in both rows. 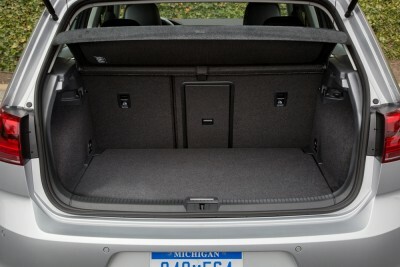 Cargo-hauling is also easy thanks to the 60/40-split rear-folding back that opens up 52.7 cubic feet of space when lowered. 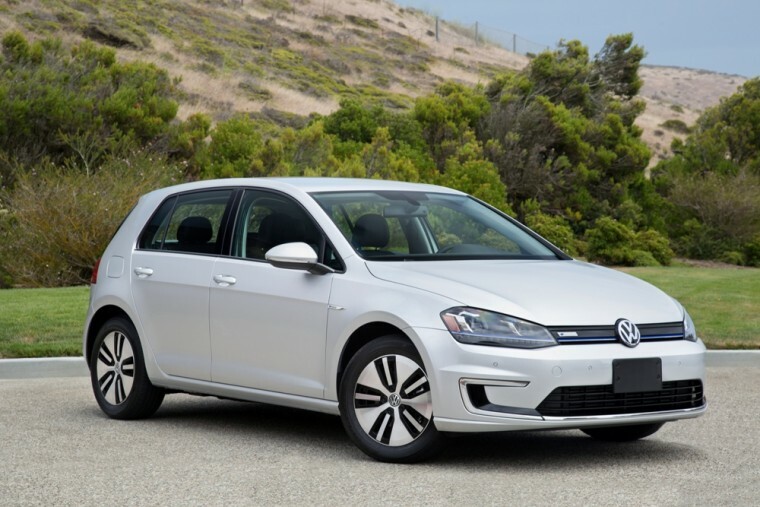 The 2016 Volkswagen e-Golf comes standard with front side airbags, side curtain airbags, antilock disc brakes, traction control, stability control, a rearview camera, and a post-crash braking system that automatically applies the brakes after a crash to reduce the odds of a second one. Though the e-Golf hasn’t been tested, the Golf upon which it is based was named a Top Safety Pick+ by the Insurance Institute for Highway Safety (IIHS), its highest honor.